Learn how digital marketing can support your organization’s business goals. 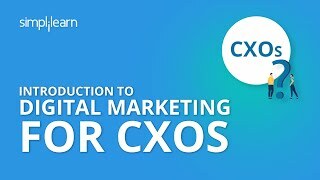 This course is designed to help CXOs make informed decisions and strategize their online marketing efforts. The course emphasizes the significance of core marketing concepts, the mar-tech landscape, and the entire customer journey from acquisition to expansion, measurement, and org structure. This course is suitable for all business function heads and business owners looking to set up the best processes within their marketing teams.